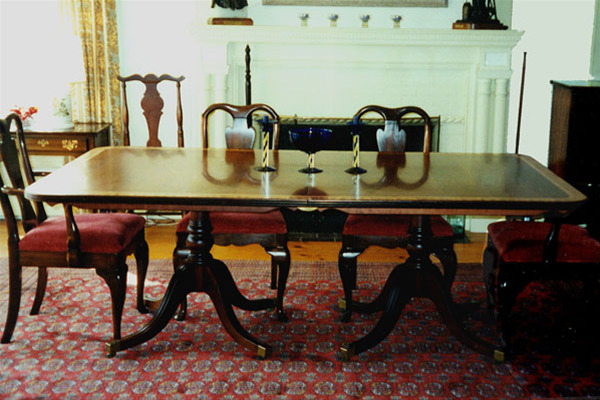 Serious George IV Cherry dining table. This is a measured reproduction from an English Country Manor 44” x 88” with two 18” leaves. My client took the photos while he was traveling and brought them to me with meticulous measurements and notes. Ebony, birdseye maple and zebra wood edge inlay. The edge inlay on this table consists of over 500 individual pieces of wood. The leaves are supported on traditional slide in sticks.